After finally clearing my skin of acne (thanks to ditching skimmed milk), I realised I wanted to try to get the best complexion of my life. I wanted a treatment that would minimise fine lines and pores, plump the skin, fade pigmentation and soften fine lines. All signs pointed to the derma-roller, a form of collagen induction therapy. It’s a handheld device that resembles a mini concrete roller with needles sticking out of it. To say it wouldn’t look out of place in a torture scene played out on Game of Thrones is about right. But had I read past the skin-boosting promises? No, I hadn’t. I had no idea what I was in for when I visited David Jack, MD, on Harley Street to try it out for myself. Keep scrolling to find out everything you need to know about derma-rolling with a professional (as well as at home) and whether it really does live up to its promises. “Let’s do the interview first because this is going to hurt,” Jack said shortly after I had sat down in his Harley Street office. “Oh, erm, isn’t it just going to be like laser—a bit of stinging and some redness?” I asked tentatively, already reading from his face that no, it was not going to be like that. “I’ll go get the numbing cream,” he said, already making his way off into the next room. Jack explained that the needles on the roller penetrate all the way down through the epidermis and into the lower layers of the skin, aka the dermal layer. In short, it’s going to really hurt. “The needles cause injuries in the skin, and what that does is stimulate a response,” he told me. “First you get an inflammatory response, so you’ll go quite red and swollen, then a post-inflammatory response where cells are sent to the area to repair the damage. “Collagen production is stimulated, which causes a thickening of the dermis. The skin becomes denser with the laying down of collagen and elastin, and you’ll also notice skin tightening,” explains Jack. While the redness happens immediately, the skin plumping and fading of scars can take 12 weeks to show up. And for the best results, you’ll want to have three treatments one month apart. After I’d asked all my questions and delayed as much as possible, the treatment began. My skin and the two-millimetre roller were sterilised. The device was then rolled over each area of my face 10 excruciating times. Across my cheeks, I was convinced the pins had hit bone. “Do you want me to roll your upper lip?” Jack asked. “No! No, thank you!” was my response, remembering how painful just threading that area can be. When it came to my forehead, the least fleshy part of my face, I gave in. A vitamin C–rich serum was then applied; if you’ve made holes in your face, you may as well fill them with a potent skin-brightening serum. I thought best not to look at myself in the mirror; instead, I bid a quick farewell after being told to keep my skin clean and not to touch it for the next few days. It felt hot, almost like I’d been sunburnt, and by the lingering glances I received from passersby, it looked like it too. I tried to conceal my face with my long hair, without the hair actually touching the face—not easy. I resorted to walking head down, cancelling my afternoon meetings and getting home as quick as possible. Good plan, until you realise you’ve left your door keys at home. Luckily, I live near a beauty journalist who would both understand and not laugh when I pitched up at her front door for a cuppa. By then, the redness had subsided a bit, and come evening, I looked normal if a little red. I’d spoken to my boyfriend on the phone mid–lost key debacle, and he was horrified that I had done such a thing to myself, so the fact that I no longer resembled Freddy Krueger when I finally pitched up home that evening helped my cause. 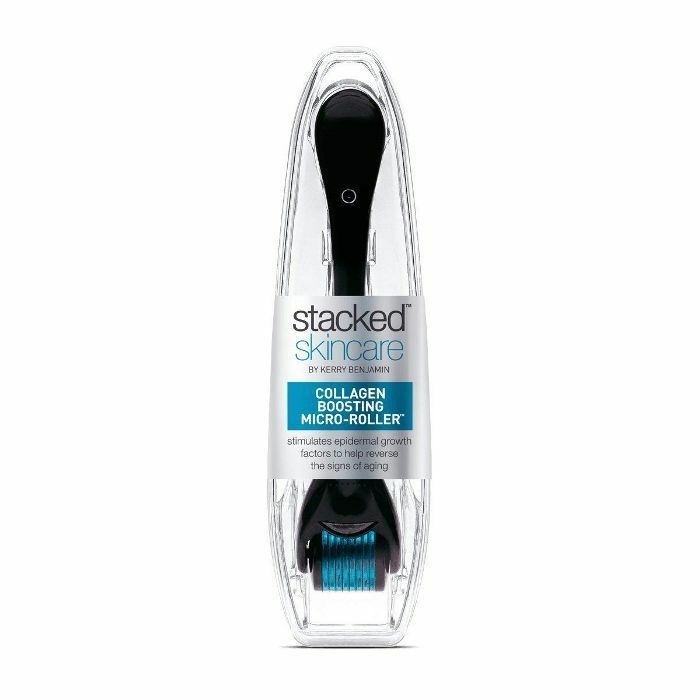 Once my skin had fully recovered from the in-office treatment, I embarked on my at-home roller regimen using the Stacked Skincare Collagen-Boosting Micro Roller (£26). But could I really expect to see the same results from 0.2-millimetre pins when Jack had used two-millimetre needles? Yes and no. “Derma-rolling at home can stimulate the epidermis and help with the penetration and absorption of products,” explains Natali Kelly, nurse prescriber and skin therapist at Omniya in London. The treatment with Jack helped with the absorption of the serum he applied but worked much deeper to stimulate collagen and elastin production in the lower layers of the skin. The at-home version is much more superficial. In short, it will help your skin look more glowing and will allow your skincare to reach a little deeper, helping that pricey serum do its job more effectively, which is no bad thing. After cleansing my face, I used the sterilising solution included in the kit to clean the derma-roller. I then moved from section to section, rolling the face in different directions. You can definitely feel the pins, but it doesn’t hurt. I then applied my usual SkinCeuticals Serum 10 (£80) and followed with my SkinCeuticals Retinol 0.3 (£55). For anyone with sensitivity to retinol, you may find you’ll want to roll your skin on the nights when you’re not using that product. When it comes to the topicals you choose, there are some guidelines. 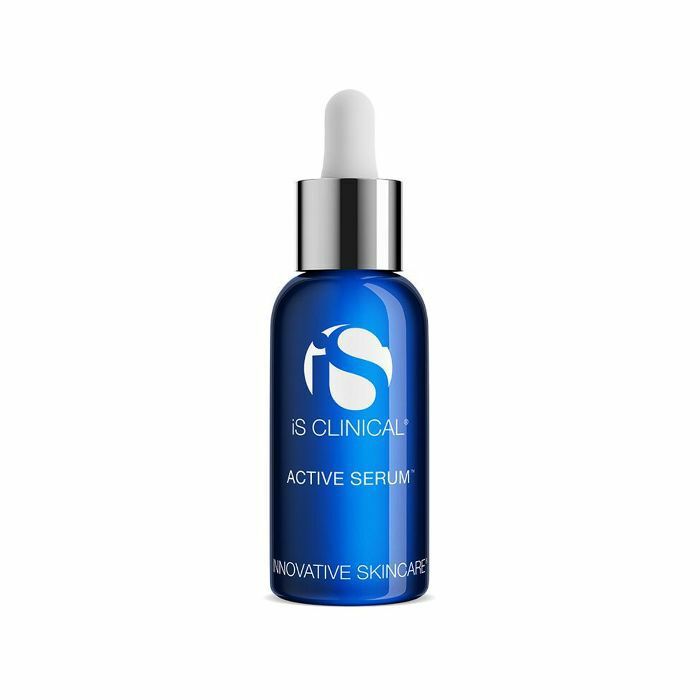 “I would advise using cosmeceutical serums, to ensure high levels of active ingredients. These often also don’t have parabens that could cause extra irritation to the skin, increasing side effects after rolling,” explains Kelly. We recommend brands like SkinCeuticals, Zo Skin Health, Medik8 and Neostrata. 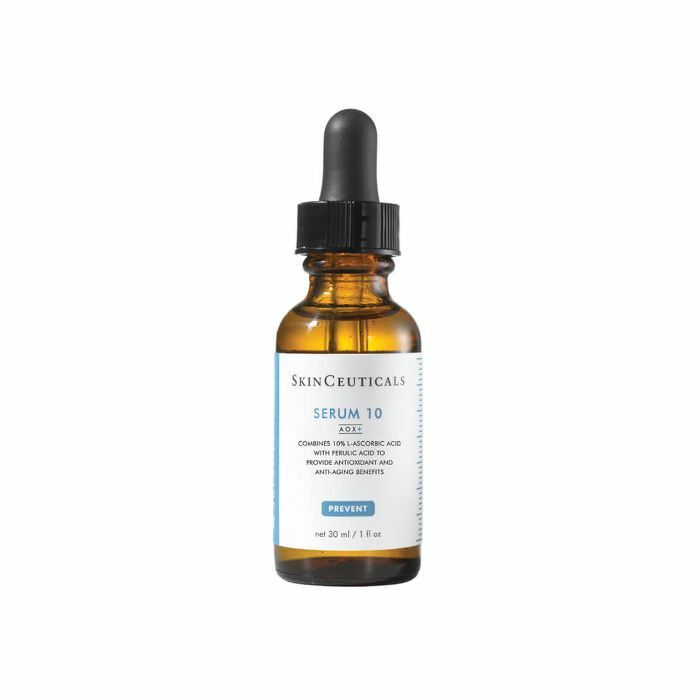 “Look to serums with vitamin C, an antioxidant; it can stimulate collagen synthesis and is a natural skin lightener for sun-damaged skin. Hyaluronic acid is your skin’s natural humectant, so add this in if your skin feels dry and sensitive and dehydrated. Retinols are great to apply afterwards for anti-ageing properties, collagen stimulation and to speed up the skin-cell turnover. It is also brilliant at controlling oil and breakouts,” explains Kelly. And remember, even though they are tiny, they are still needles, so shop smart. “Only buy genuine derma-rollers with a CE mark for safety, ideally stainless steel or titanium; beware cheap rollers, as needle lengths, materials and sterility are not guaranteed,” warns Kelly. Six weeks later, my skin has never looked better. Jack recommended that for best results, you should have three professional treatments about a month apart, and I am definitely booking my next two sessions pronto. Yes, at the time it wasn’t fun, but I can barely remember the pain, and the results are well worth it. My skin these days is brighter and more even in tone, and I can only imagine what it will be like after more treatments. 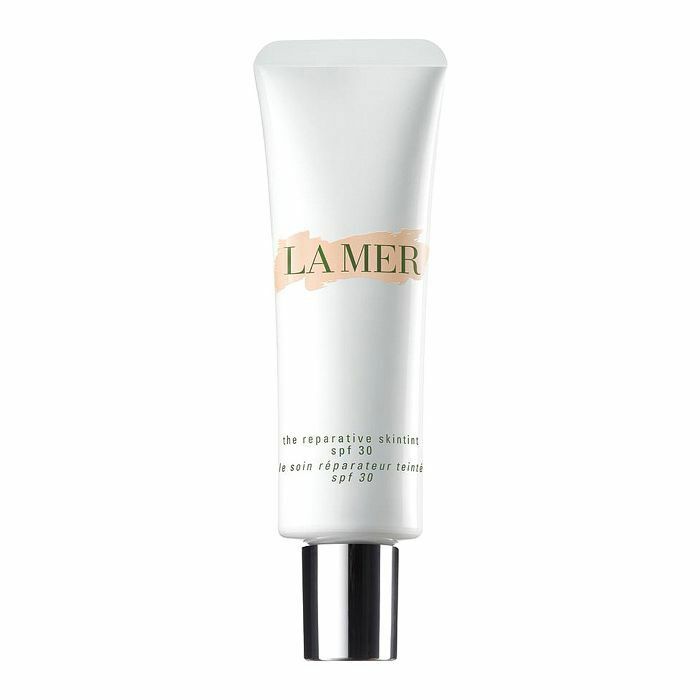 I no longer need to trowel on the full-coverage foundation; instead, I wear La Mer The Reparative Skin Tint (£70). My skin looks plumper and dewier, and my pores are less visible. As for the at-home derma-rolling, I do it a couple of times a week, but I really want to get into the habit of doing it daily (it’s worth it). Creating those small micro-channels in the skin definitely helps absorption of skincare, and when serums are pricey, you want to make sure they are working optimally—it’s a no-brainer. On the days after I’ve used the device, my skin always looks healthier, brighter and glowing; it’s incredible really. Do I think I would have had such great results with at-home derma-rolling alone? Perhaps not, but the professional version is not for the fainthearted, so start with the at-home kit and work your way up. For more information about the treatments David Jack offers, head to his website, DrDavidJack.com. Also, to find out what treatments Omniya offers, head to Omniya.co.uk. 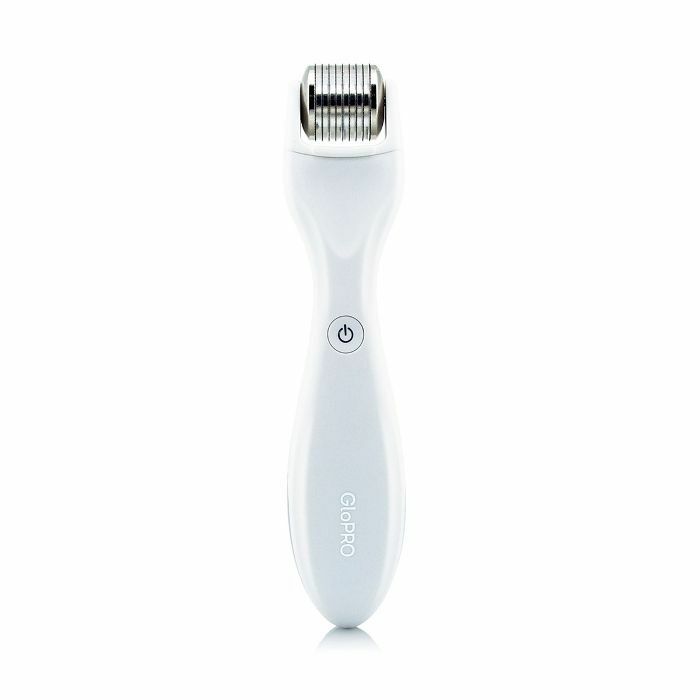 This is my go-to everyday derma-roller. More pricey, yes, but it vibrates to numb pain and shines red LED light onto the skin as you role, which has been proven to help with skin ageing. 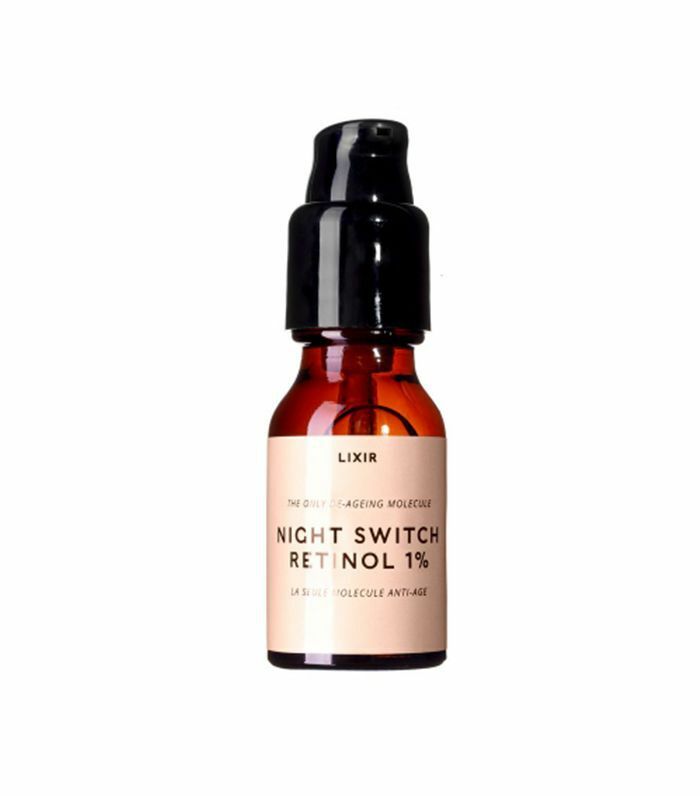 If you are spot-prone, then this serum will work wonders to calm inflamed skin and stave off spots. Antioxidant vitamin C is a must for city-dwellers or anyone concerned with pigmentation, as it’s seriously brightening. Retinol is the gold standard in anti-ageing, as it helps with everything from skin tone and texture to revving up collagen and elastin production. Derma-rolling will leave your skin looking so much clearer and plumper that you’ll be able to forgo foundation for a tinted moisturiser. This is one of my favourites. Next up: the best foundations to help you fake flawless skin.